At the Marvel Booth during Comic Con they had a little display case next to Odin's Throne that had Odin, Thor and Loki's helmets for most of Comic Con, but on the last day yesterday the helmets were replaced by Captain America's Shield and the Infinity Gauntlet which is one of the most powerful weapons in the Marvel Universe. 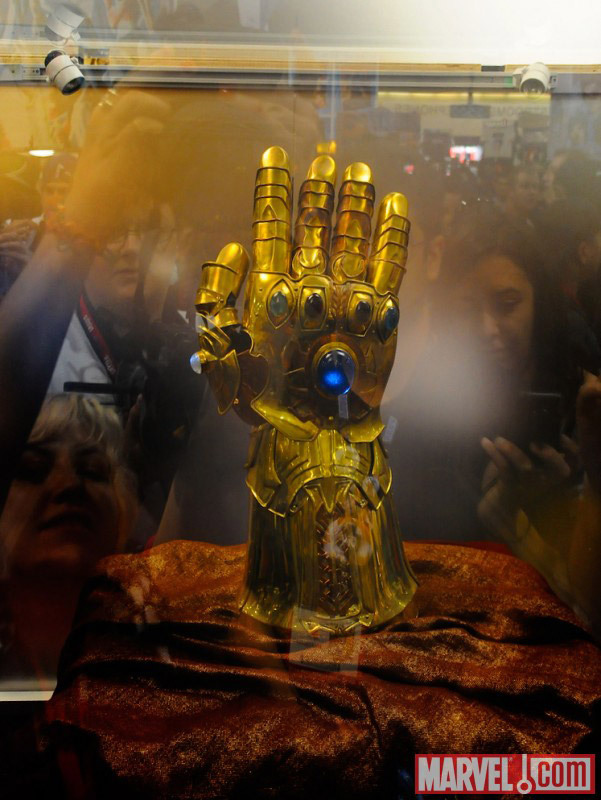 The Infinity Gauntlet will be seen in Thor and is usually worn by the villain Thanos. 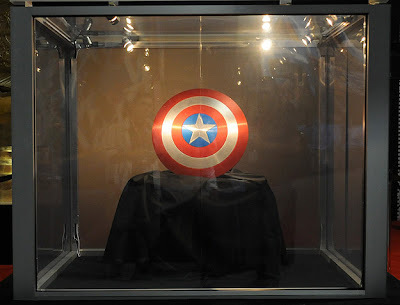 Check these out because they are the actual props from the movies.